Have you ever been served a salad containing perfectly cut slices of avocado? Most of the time you are left wondering how the chef managed to cut the avocado with such precision without messing it up! Cutting avocado into even slices can be hard especially if you are used to mashing it to make guacamole. Surprisingly, it is not as difficult as you may think. A gentle touch and a sharp knife is all you need. Here are some tips on how to cut an avocado. Begin by cutting the avocado in half after which you remove the pit. A chef’s knife will work well to penetrate the pit. A thin paring knife might slide off as it is too wobbly. This could be dangerous as you can cut yourself. However, you can still use the paring knife if you find it comfortable. Make sure to hold the knife correctly. Do this by pinching the blade of the knife at the end attached to the handle between your first finger and thumb. Curl your fingers around the handle to have maximum control of the knife. To add an extra protection, use a dishtowel or hot pad to protect your hands. Then cut your avocado lengthways around its seed. You can also scoop the pit out with a spoon. You can cut the half that has the pit lengthwise, cutting around the pit to expose it and making it easier to remove. You can directly take the pit out, which is a bit tricky, but possible. You have to be careful not to cut your hand. Hold the avocado half with a kitchen towel and tap the pit with the knife applying enough force to have the knife wedge into the pit. Do not apply to much force such that the knife cuts through the pit. You can tap the pit gently with increased pressure each time until you get it right. Twist the pit out with the edge of the knife and you are done. You can scoop the flesh of the avocado with a spoon. You can also cut it into slices. An easier way to do it is to cut through the flesh in a cross-hatch pattern taking care not to cut through the peel. You do not need a sharp knife for this. When you’re done, scoop the avocado pieces with a spoon. There is no need to worry about the brownish parts. Scoop everything and mash. Slice the inside of the avocado halves into sections. Do not worry about cutting the peel. You can then separate the slices from the peel using your fingers. Scoop the avocado half out as a whole with a spoon and slice it on a chopping board, or even use it as is. With ripe Hass avocados, just cut the avocado into half or wedges and simply peel it pulling the outer skin off the green flesh. Cut off any dark portions that could be left on the skin. Avocados form an important part of the diet since they contain monounsaturated fats, B vitamins, vitamin E, potassium, lutein and fiber. They can be consumed in different ways as described below. Avocados in salads are delicious. They can be combined with any type of lettuce-red leaf, romaine and green leaf either singly or in combination. You can also add any other vegetables including sliced red onion, chopped celery, cucumbers, minced garlic and carrots. Do not worry about how to cut an avocado for salads. Just cut the avocado into slices or chunks and add on top of the salad. Add the avocado slices last if you want them to remain intact rather than mushy. Dips containing avocado eaten with whole grain crackers or raw vegetable slices makes for a quick and healthy snack. A good example is guacamole, which can be made very easily in a short time. Cut an avocado in half and scoop the flesh into a bowl. Add chopped red onion, sliced tomatoes, minced raw garlic and squeeze in some lemon or lime juice. Avocados can be added to many types of dips to give a thicker consistency and a creamy texture. Make a simple avocado mousse for dessert. The mousse is made using mashed avocado, stevia for sweetening and powdered cocoa. Serve it with bananas, strawberries, cherries or a mixture of fruits. You could skip the sweetener since the fresh fruit can provide enough sweetness. Many busy people opt for sandwiches since they are easy to make. 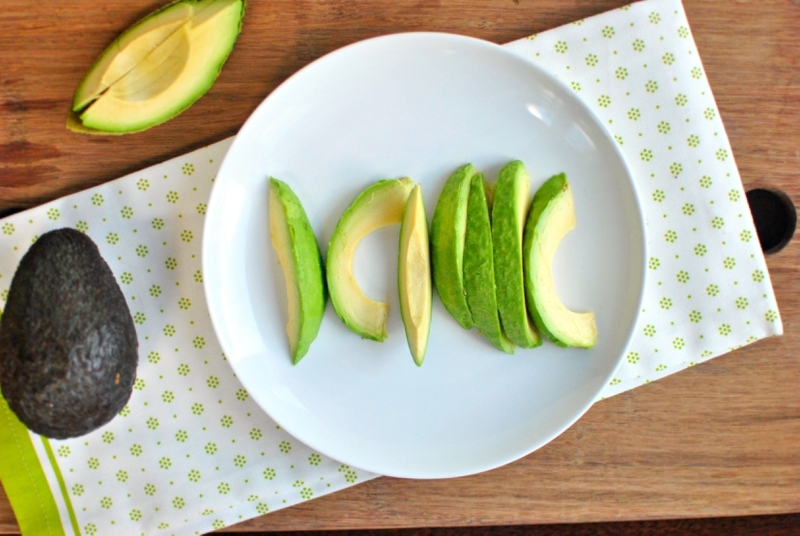 Avocado slices are a great addition in sandwiches for a better taste and increased nutrients. You could also mash up the avocado and apply it on the bread in place of mayonnaise. Try combining it with sandwich meats like ham and turkey for an extra tasty sandwich. If you are considering make smoothies out of avocado, you don't have to bother about how to cut an avocado. You can just scoop it out! A smoothie containing a few pieces of avocado or even a whole avocado is great for breakfast. Add avocados to green smoothies containing kale, spinach, celery and fresh fruits for a better taste. Fruit and vegetable smoothies can be a bit thin. Adding avocado will result in a thicker and creamier texture. Server responsed at: 04/19/2019 4:51 a.m.